Style Those Nails: Firework Nails Round up - Which were liked most? 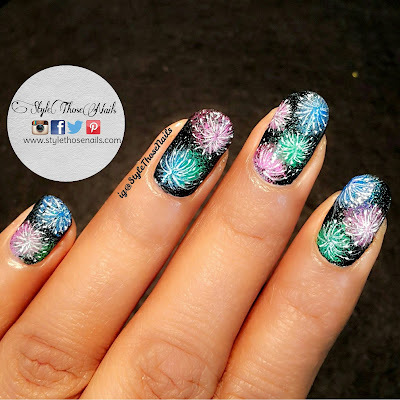 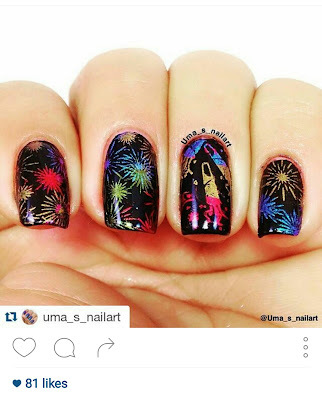 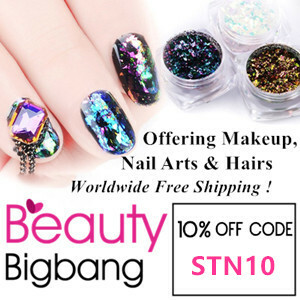 Today is a round up post for Firework Nails for #StyleThoseNailsChallenges. This challenge is running on my facebook group and on my feature page on Instagram@AnitaStyleThoseNails. 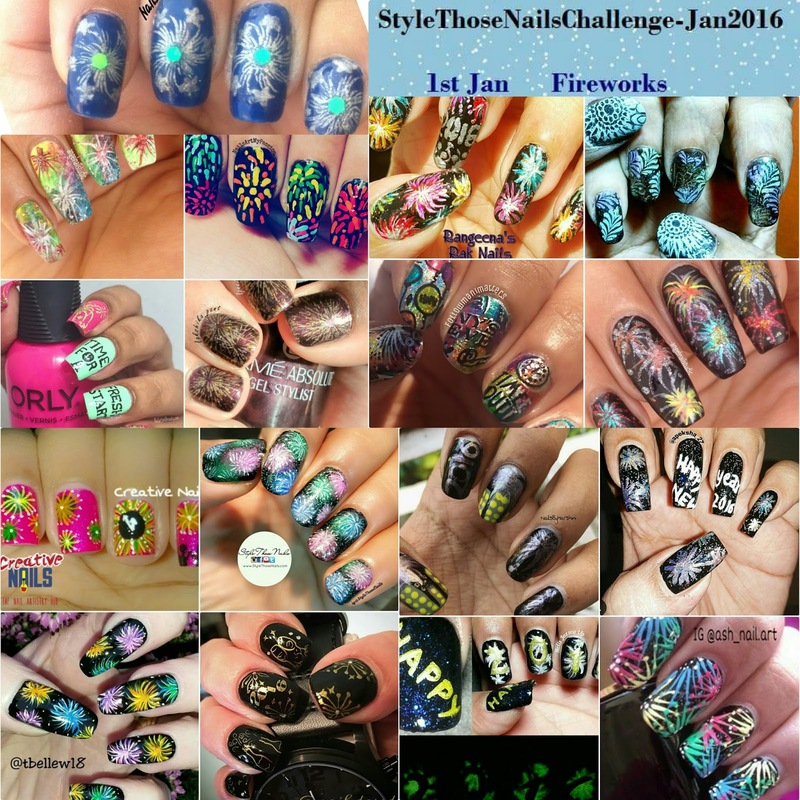 I was so excited to see so many beautiful nailart. 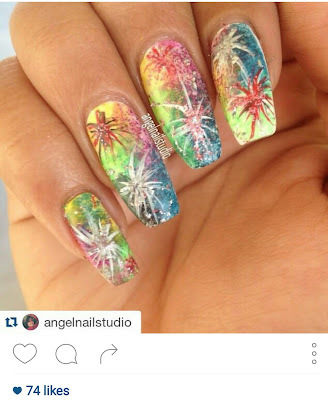 I posted all on my feature page and some of them were liked a lot. 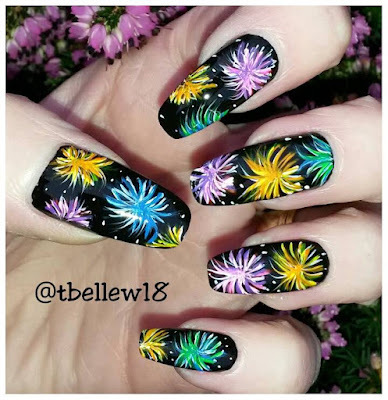 Here I am posting those top 3 most liked manis and my personal favourites. 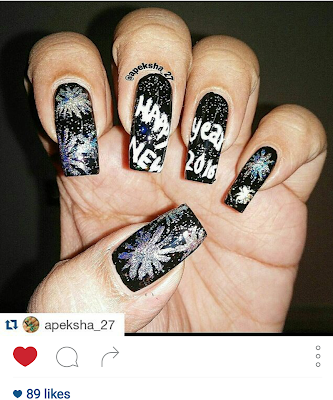 So are you ready?? First one is by Tracey. I loved her freehand firework design a lot and can you believe it's her first try at freehand nailart. 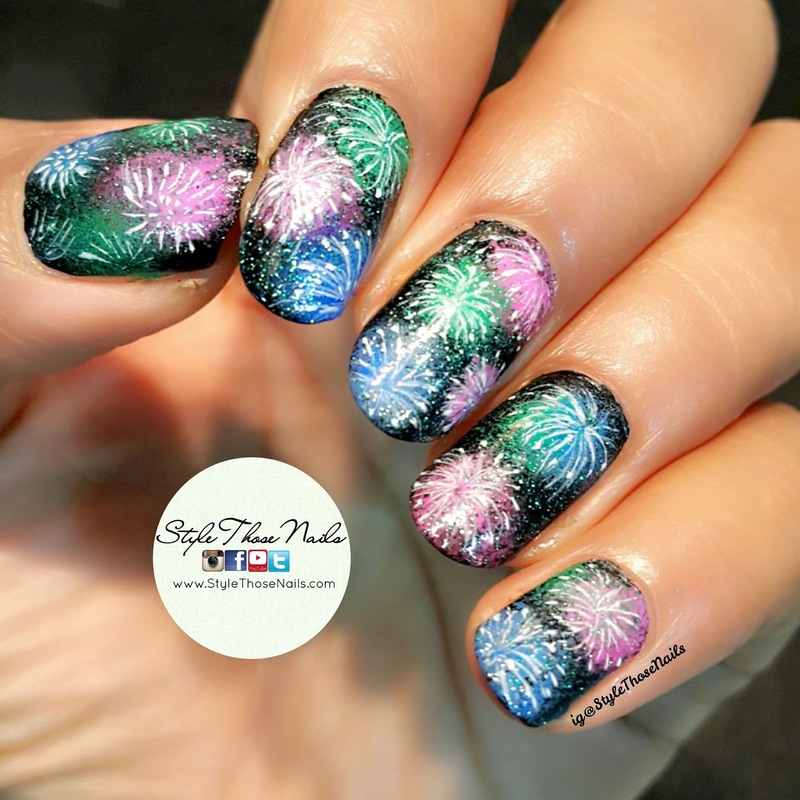 I loved her out of the box idea of go green fireworks !! 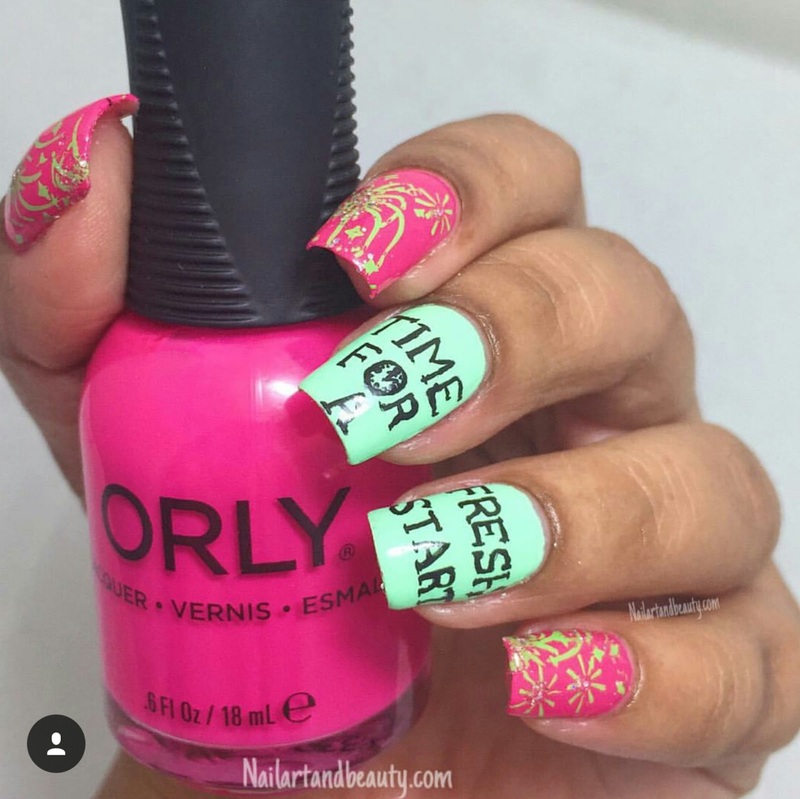 if you like me to repost your nailart then just use #Repost2day.